My family doesn't use a bunch of different cleaners to clean everything in our house. We use dish soap to wash the dishes, laundry detergent to wash clothes, and for most other things, we only use one cleaner. That's right, ONE CLEANER! It doesn't contain any chemicals or harmful ingredients and it is safe for people and pets. 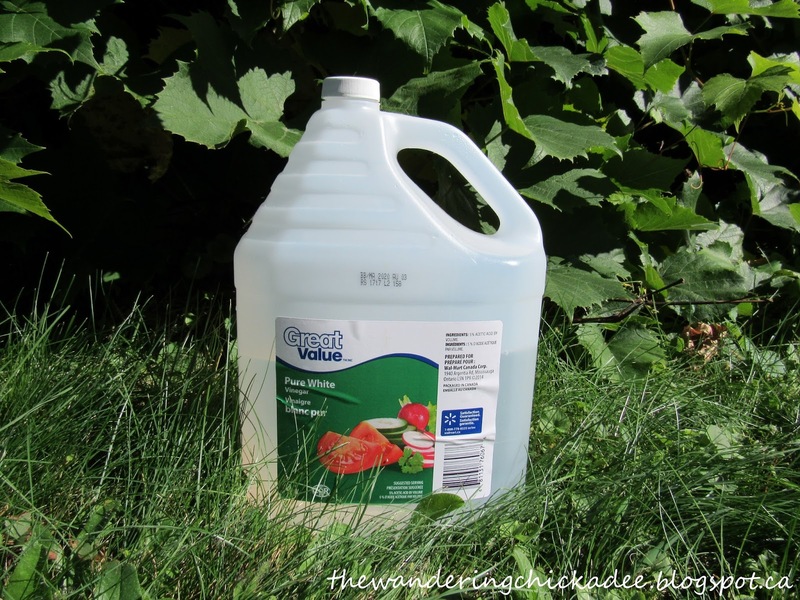 My family's #1 natural cleaner is... vinegar! Vinegar is amazing! It is a natural disinfectant and it can be used to clean all sorts of things whether you use it pure or diluted with water. It is also inexpensive and if you use it to clean most things in your house, it will definitely save you money because you won't have to buy a ton of different cleaners. It also doesn't take much vinegar to clean with. There is so much that can be cleaned with vinegar and it is much healthier than all of those cleaners that have chemicals in them. It's simple and easy! My grandma actually told me that when my step-grandpa went to the store to buy a cleaning liquid, the cashier was an older lady and she talked him into buying a bottle of vinegar and told him that it was cheaper and worked just as well. Of course, sometimes there are times when something is just so tough to clean that my family has to add a little dish soap but we try to clean things with just vinegar as much as we can. Are you going to make the switch to vinegar?